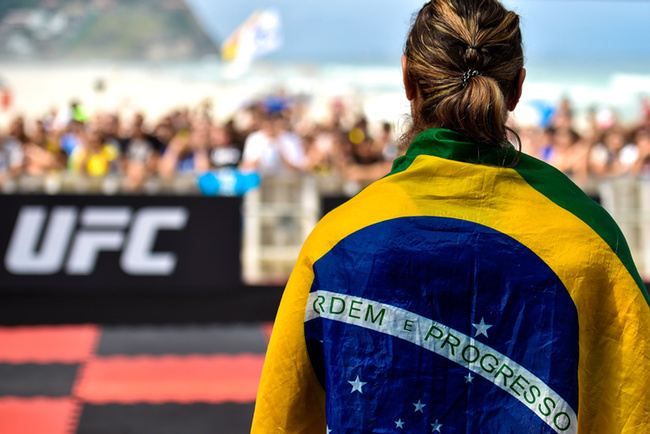 When martial artist fighter Bethe Correia was soundly trounced in a match against current UFC champ Ronda Rousey recently it wasn’t just about showcasing Rousey’s exceptional skills. It was also, in its own way, about cosmic balance. See, Correia had rapidly risen through the UFC rankings to become a top contender. But along the way up she also unleashed a trolling carpet bomb on most of her opponents. It was only fair, then, that Rousey would restore a sense of order in the universe. Sarah wrote about how this all came about for Fightland.